Here you can find my Mosaico collection. 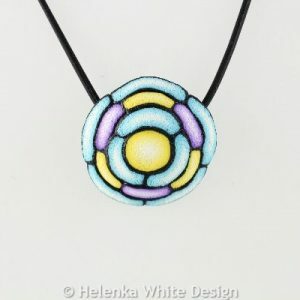 I learnt the technique from an Art Deco inspired tutorial by polymer clay artist Bettina Welker. 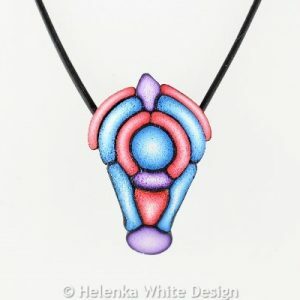 Instead of copying her examples I wanted to create my own unique designs. 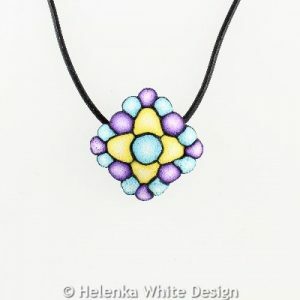 The technique reminded me a bit of creating mosaics as you work with tiny pieces you put together. 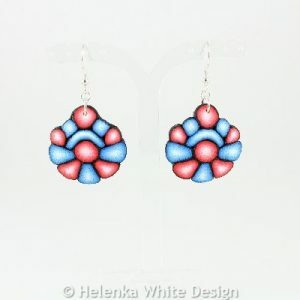 These beautiful blue and red earrings are hand-crafted with polymer clay and hang on Sterling silver ear wires. 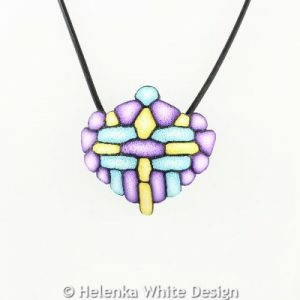 From my Mosaico collection. 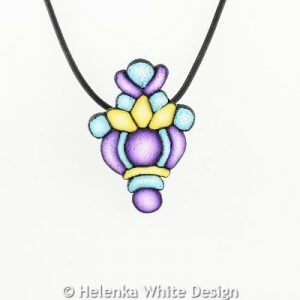 Large purple, yellow & turquoise pendant. 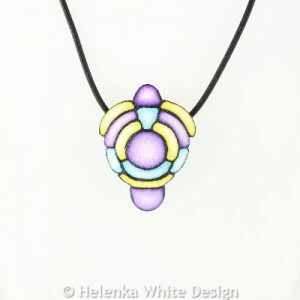 This large purple, blue & yellow pendant is hand-crafted with polymer clay and hangs on a black Buna cord. 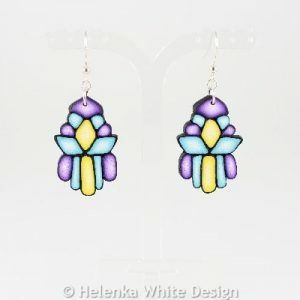 Diamond shaped blue, red & purple earrings. 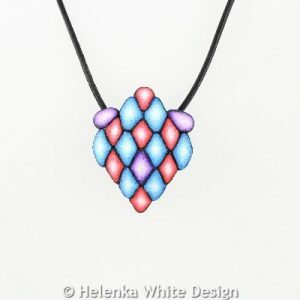 These beautiful diamond shaped blue, red & purple earrings are hand-crafted with polymer clay. 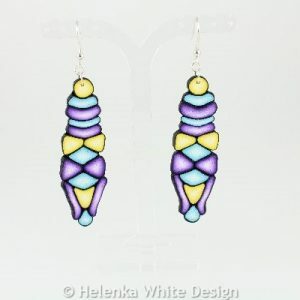 They hang on Sterling silver ear wires & are suitable for vegans. 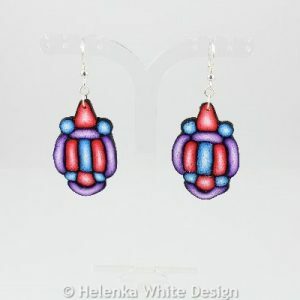 Red, purple & blue earrings. 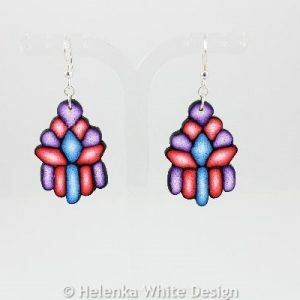 These beautiful red, purple & blue earrings are hand-crafted with polymer clay. 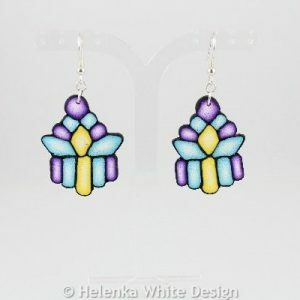 They hang on Sterling silver ear wires & are suitable for vegans. 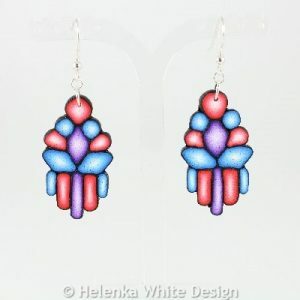 Purple, red & blue earrings. 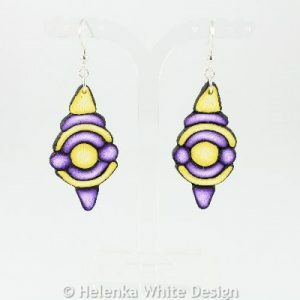 These beautiful purple, red & blue earrings are hand-crafted with polymer clay. 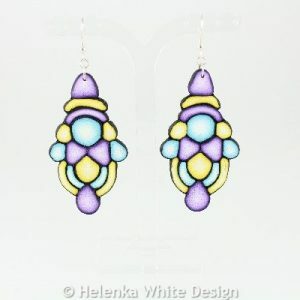 They hang on Sterling silver ear wires & are suitable for vegans. 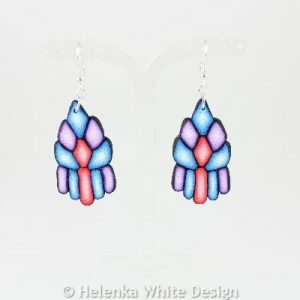 These beautiful blue, red & purple earrings are hand-crafted with polymer clay. 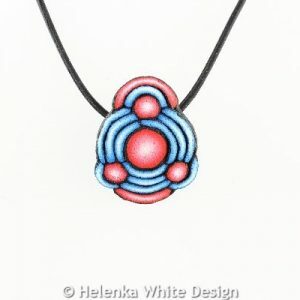 They hang on Sterling silver ear wires & are suitable for vegans. Blue, red & yellow earrings. 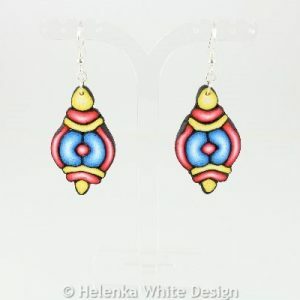 These beautiful blue, red & yellow earrings are hand-crafted with polymer clay. 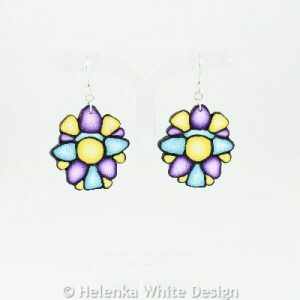 They hang on Sterling silver ear wires & are suitable for vegans.